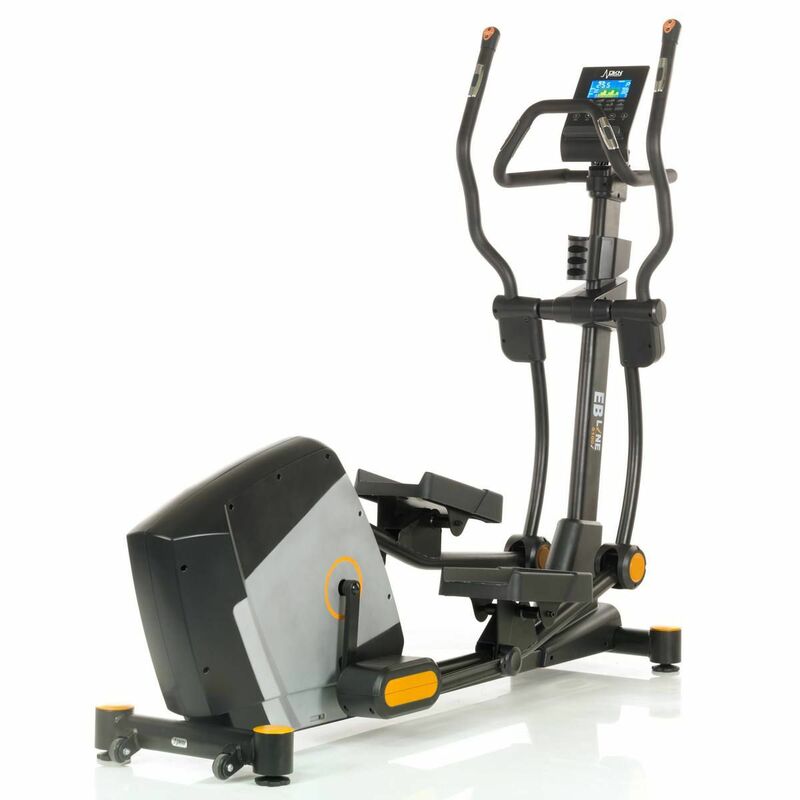 The EB-5100i is a top choice if you’re in the market for a commercial-quality elliptical cross trainer designed for home use. A heavy duty frame that stands up well over time and easily handles the demands of frequent and intense workouts, combined with a 14 kg flywheel set for smooth and continuous resistance. 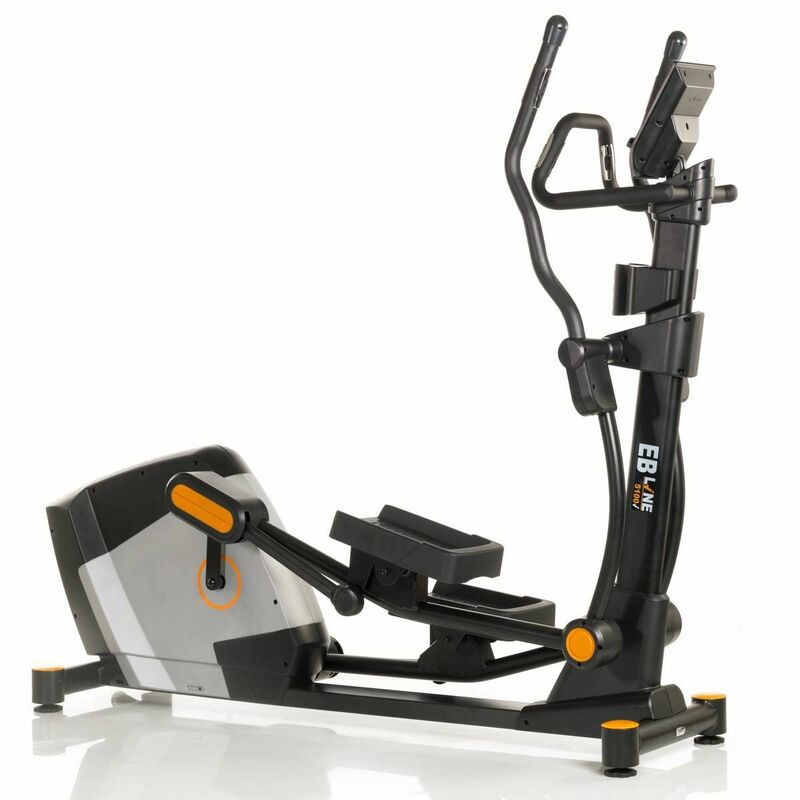 Build on an Extended Frame Basis, allowing an Ergonomic Stride Length, that matches a high-endurance work-out, offering the user a centered, well balanced straight upward position and a very natural motion. 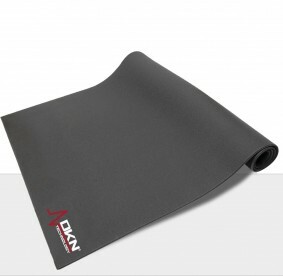 This construction is reducing strain on joints, ligaments, and tendons, and offers an increased range of motion. The EB-5100i fits any individual between 155 to 205 cm tall. The EB-5100i comes with a single panel design, designed for easy access operation, allowing the user to operate the machine intuitively. 'Personal-Coaching' : a multifunctional color LCD, monitoring all functions simultaneously : speed, timer, distance, calorie burn watt and heart rate. 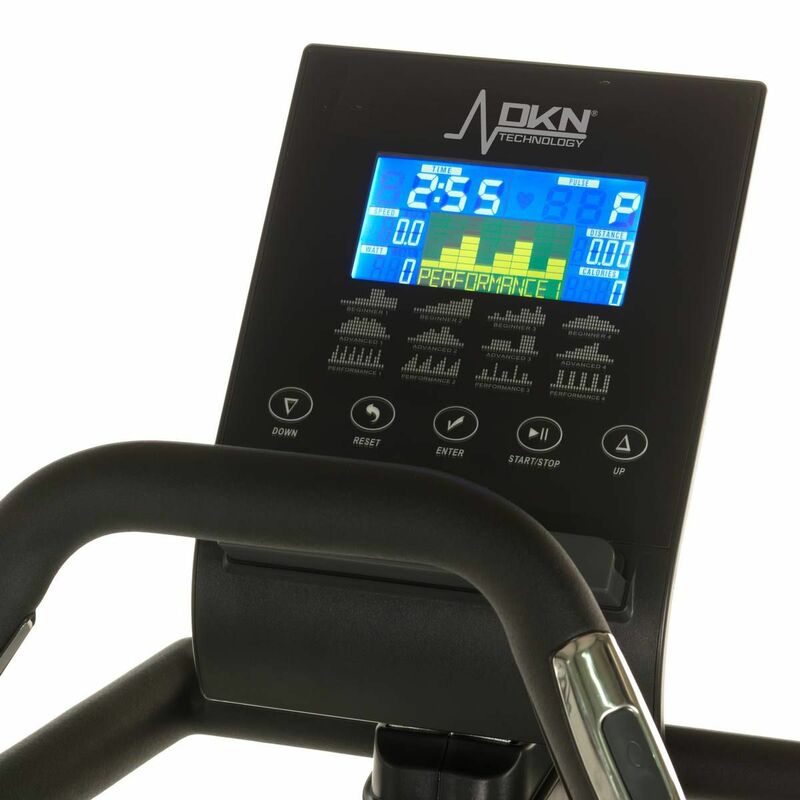 Programmable up to 32 levels, 12 preprogrammed courses, beginner, advanced or performance mode, Cardio-training, and manual tension control. The EB-5100i also offers a continuous Watt programm, with a range of 10 to 400 Watts adjustable in 5 Watt interval steps. The new high endurance handlebars allow on interdistance giving anyone to find a perfect natural trainingsposition on the EB-5100i, repositioning the body balance between the upperarms and the lower body, to avoid lower back stress. 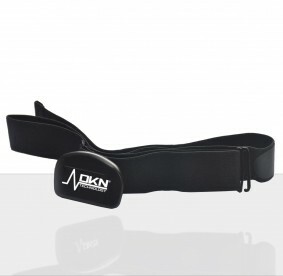 DKN's EB-5100i has been equiped with the back-thoughts of ergonomics, offering micro-adjustable positions, allowing a great movement for every user. The console is compatible with Kinomap, Vescape and BitGym.